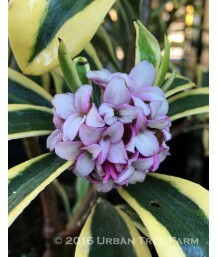 Winter DaphneEvergreen shrub. Slow growing, rounded form. 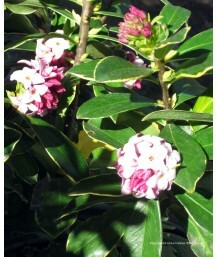 Clusters of small magenta blooms with smal..
DaphneEvergreen to semi-evergreen shrub. Moderate growth. 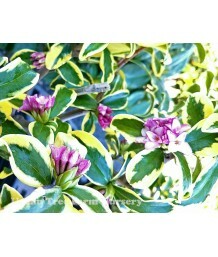 Small green leaves with yellow margins tha..
Garland DaphneEvergreen low shrub/groundcover. Slow growth. Narrow dark green leaves. Clusters of f..
DaphneEvergreen shrub. Slow mounded growth. Small gray green leaves. 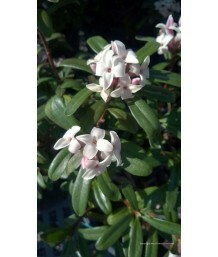 Very fragrant, pink flushed whi..
DaphneEvergreen/semi-evergreen shrub. 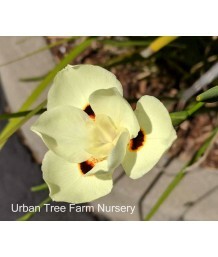 Small clusters of fragrant white flowers appear as early as Ap..
Mexican Grass TreeEvergreen shrub. Smooth-edged green leaves in fountain-like clump. Eventually bear..
Desert Spoon/SotolEvergreen shrub. Incredible upright blade-like grey leaves grow on a short trunk, ..
Fortnight Lily/African IrisEvergreen perennial. Moderate growth rate. Forms dense clump of stiff, na..
Fortnight Lily/African IrisEvergreen grassy shrub. Clumping habit. 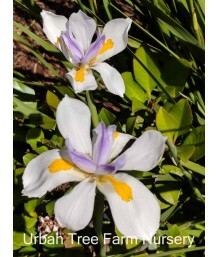 Upright bladed leaves striped wit..
Fortnight Lily/African IrisEvergreen grassy shrub. Moderate growth rate. Forms dense clump of stiff,..
Purple Hopseed BushEvergreen shrub. Fast growth. Upright form. 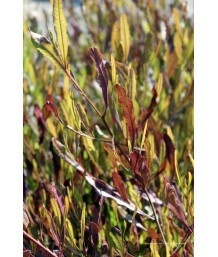 Narrow olive green willow-like leaves..
Purple Hopseed BushEvergreen shrub. Fast growth. Upright shape when young and spreading with age. Na..
Purple Hopseed BushEvergreen shrub. Pruned into a column shape. Fast growth. Upright shape when youn..
Purple Hopseed BushEvergreen shrub. Pruned into a single trunk tree. Fast growth. 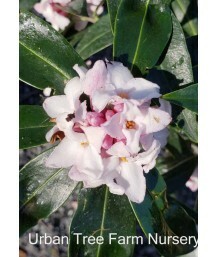 Upright shape when..
Mountain PepperEvergreen shrub. Elongated, glossy green leaves on deep red stems. Clusters of small ..